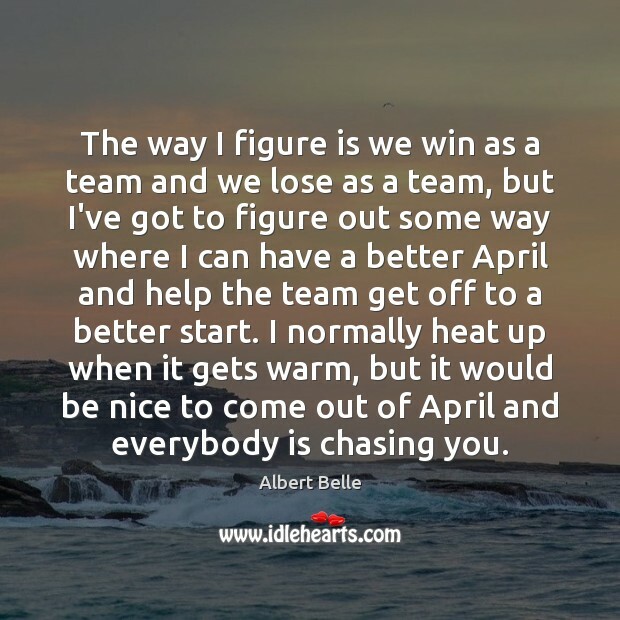 Enjoy the best inspirational, motivational, positive, funny and famous quotes by Albert Belle. Use words and picture quotations to push forward and inspire you keep going in life! 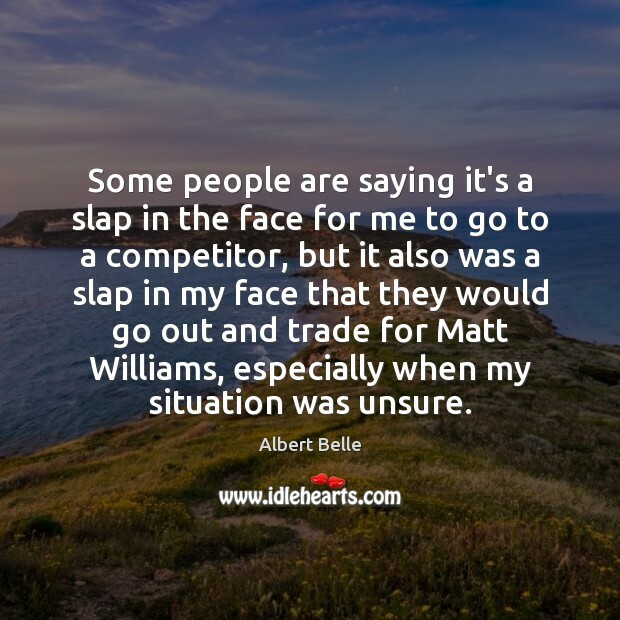 Some people are saying it's a slap in the face for me to go to a competitor, but it also was a slap in my face that they would go out and trade for Matt Williams, especially when my situation was unsure. Moral values have been thrown out the window. Christianity is out the window. And that's wrong. 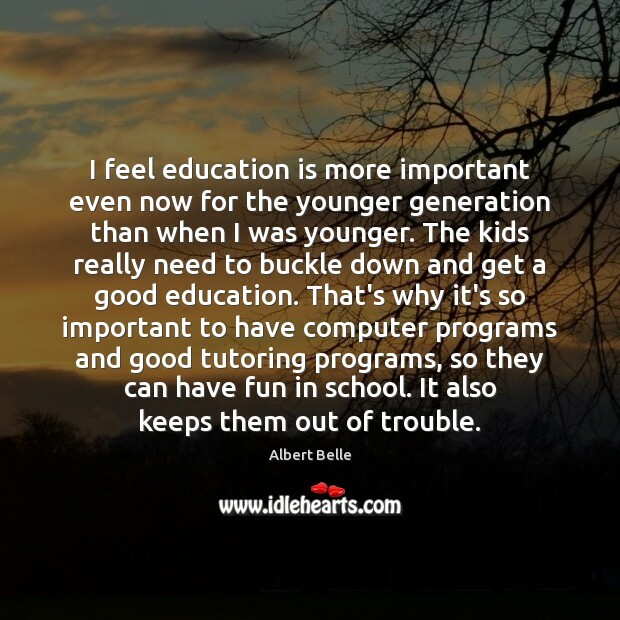 Parents should be at home, teaching kids right from wrong, making sure they get a great education so they can be a success in life. In the past I've tended to overreact. I was sure I'd be a superstar by the time I was twenty-one. 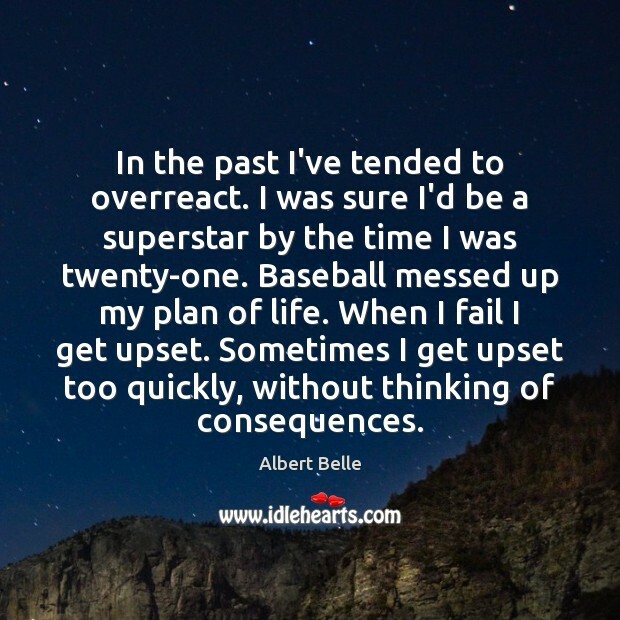 Baseball messed up my plan of life. When I fail I get upset. Sometimes I get upset too quickly, without thinking of consequences. 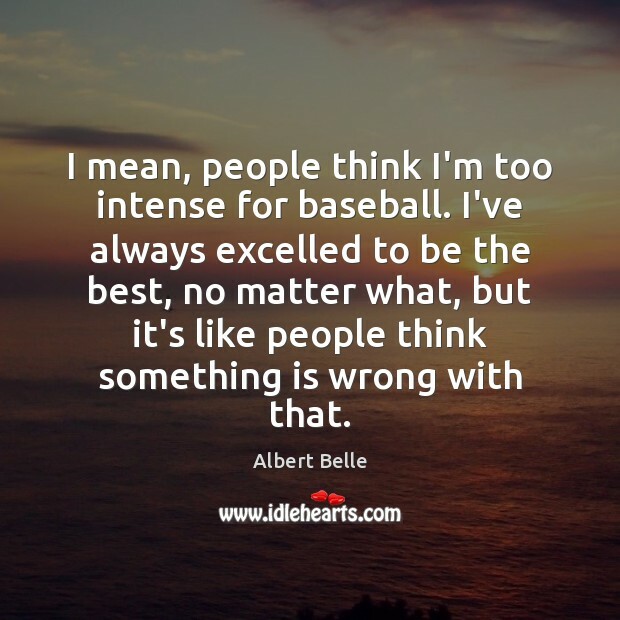 I mean, people think I'm too intense for baseball. 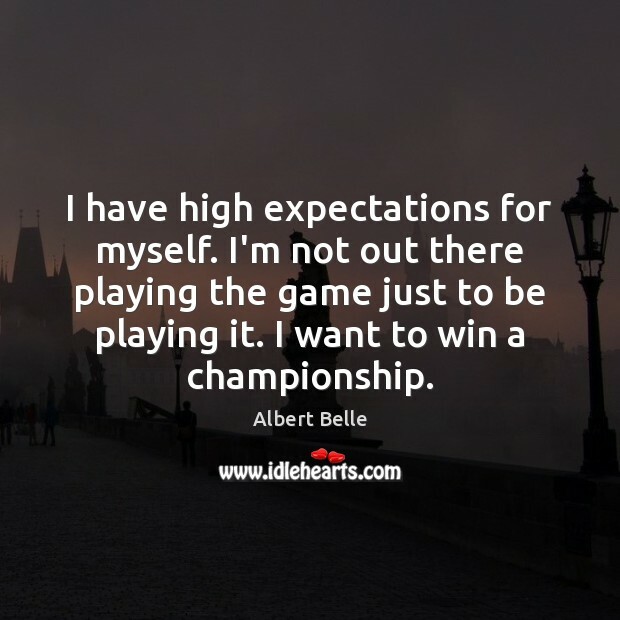 I've always excelled to be the best, no matter what, but it's like people think something is wrong with that. 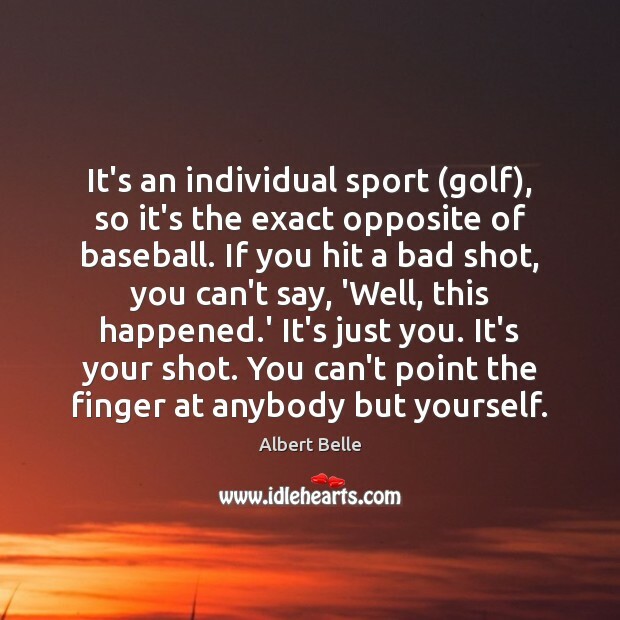 It's an individual sport (golf), so it's the exact opposite of baseball. If you hit a bad shot, you can't say, 'Well, this happened.' It's just you. It's your shot. You can't point the finger at anybody but yourself. I'm not going to get a hit every time in clutch situations, but over the course of the season I'll get a lot of clutch hits. I'm disappointed it's come to a time when they (Orioles fans) boo me. 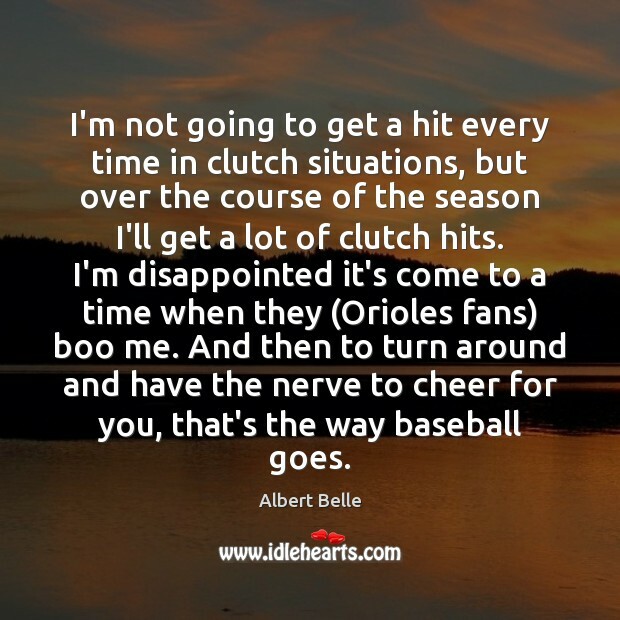 And then to turn around and have the nerve to cheer for you, that's the way baseball goes. People tried to test me (in 1999) and I came up with some pretty good throws. 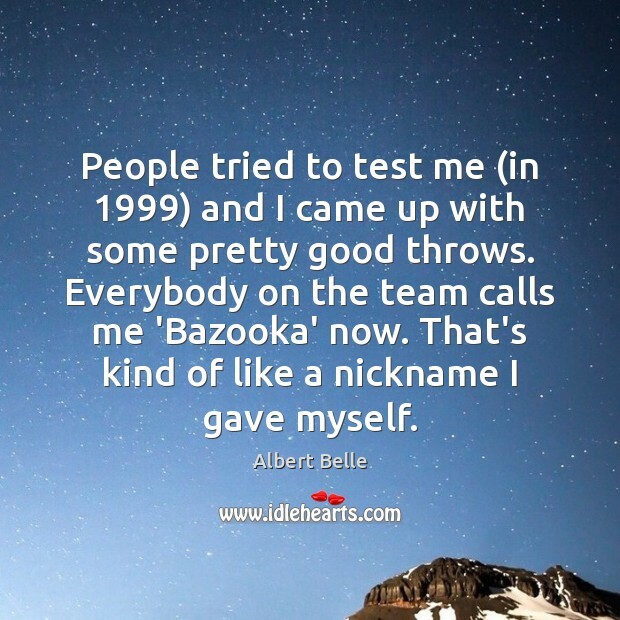 Everybody on the team calls me 'Bazooka' now. That's kind of like a nickname I gave myself. 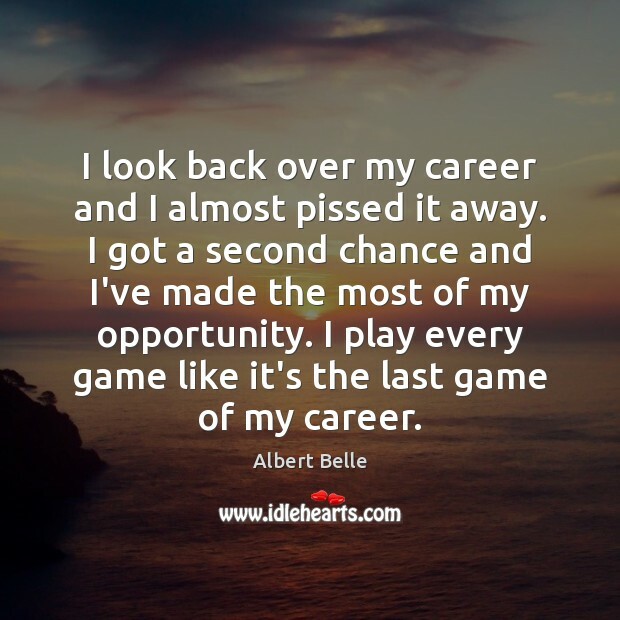 I look back over my career and I almost pissed it away. I got a second chance and I've made the most of my opportunity. I play every game like it's the last game of my career. 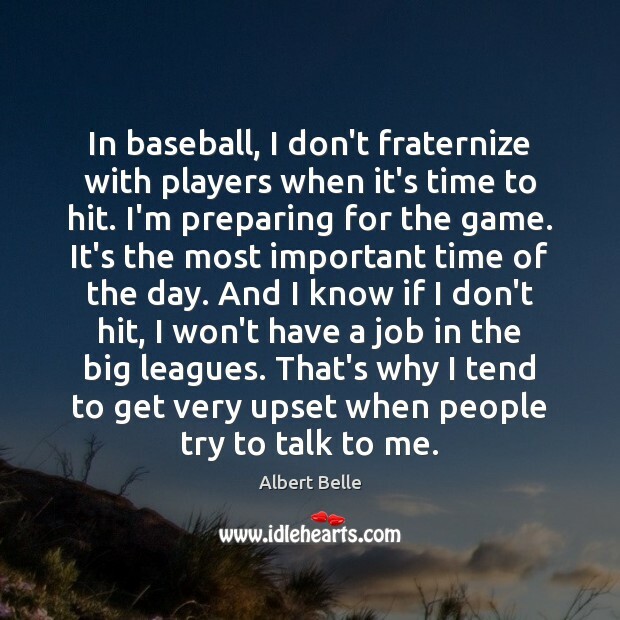 In baseball, I don't fraternize with players when it's time to hit. I'm preparing for the game. It's the most important time of the day. And I know if I don't hit, I won't have a job in the big leagues. That's why I tend to get very upset when people try to talk to me. 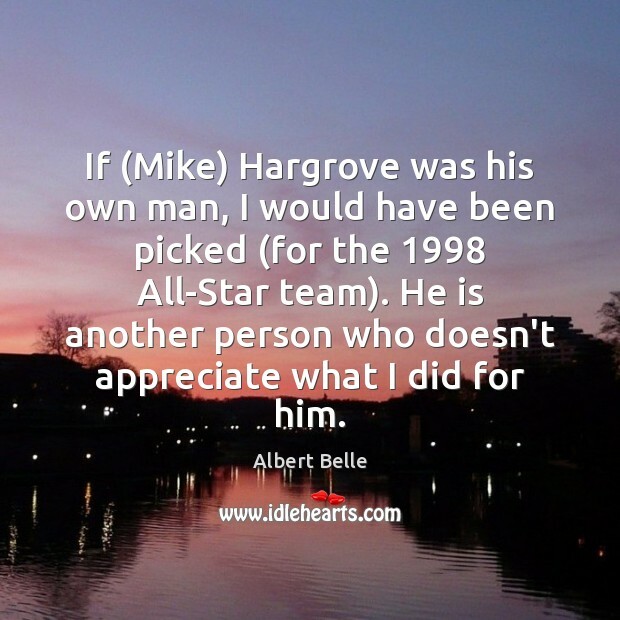 If (Mike) Hargrove was his own man, I would have been picked (for the 1998 All-Star team). He is another person who doesn't appreciate what I did for him. 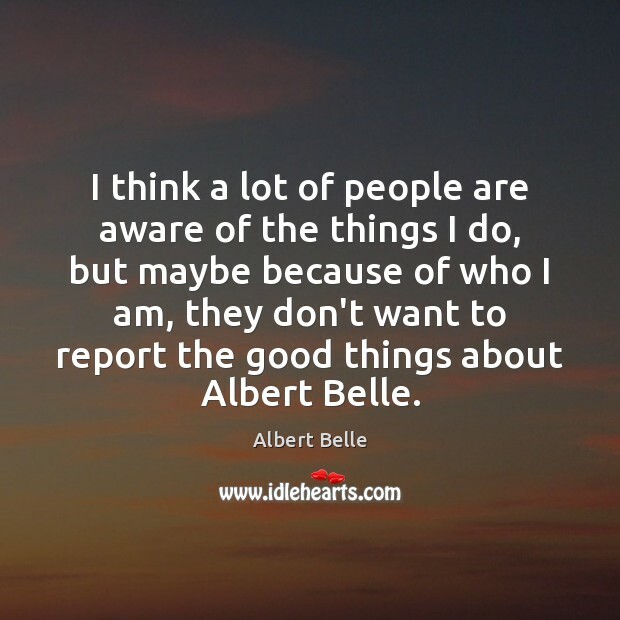 I think a lot of people are aware of the things I do, but maybe because of who I am, they don't want to report the good things about Albert Belle. Back in 1987 when they drafted me. 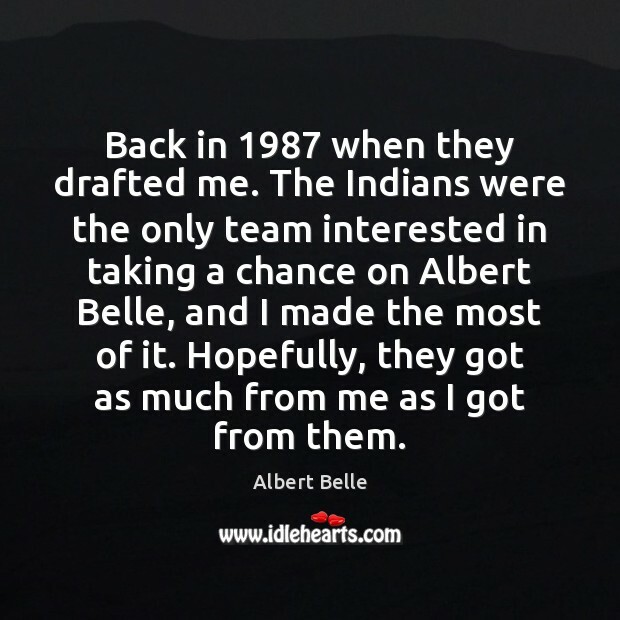 The Indians were the only team interested in taking a chance on Albert Belle, and I made the most of it. Hopefully, they got as much from me as I got from them. I know the Chicago media will write a lot of bad things, but they'll write a lot of good things too. I can live with that. 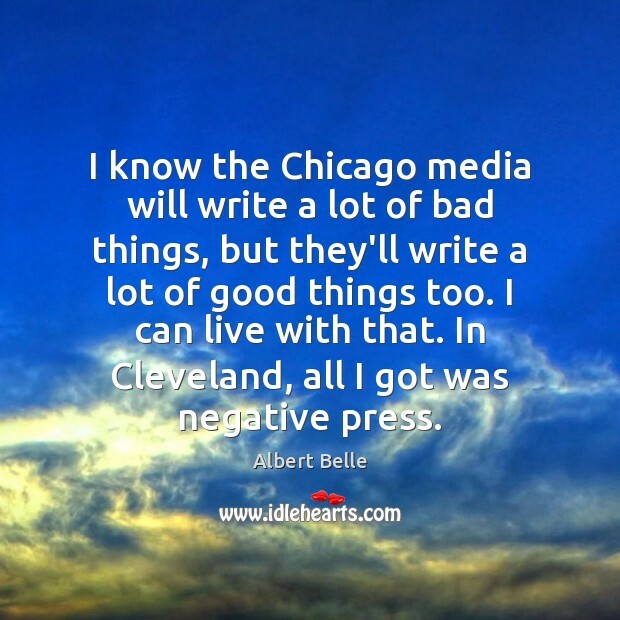 In Cleveland, all I got was negative press. 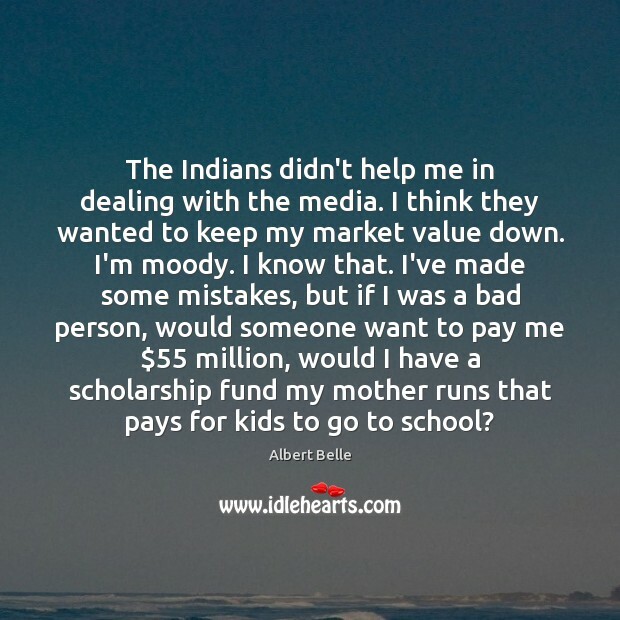 The Indians didn't help me in dealing with the media. I think they wanted to keep my market value down. I'm moody. I know that. I've made some mistakes, but if I was a bad person, would someone want to pay me $55 million, would I have a scholarship fund my mother runs that pays for kids to go to school?